Frequently Asked Questions - GS Direct, Inc.
"When will my order ship?" "What factors determine the final cost of shipping my order?" "Will all items in my order ship at the same time?" "If I'm not satisfied with a product, can I return it?" "What should I do if a product is damaged in transit?" "Do you provide volume pricing for large orders?" "The item I need is not listed in your online catalog. Can you get it for me?" "Since I've previously established an open credit account for GS Direct catalog purchases, can I also use this account for orders I place on your website?" The vast majority of orders are boxed and shipped from our Minnesota warehouse within 24 hours of receipt. Some larger, heavier items (furniture, printers, etc.) are shipped from the manufacturer's closest warehouse to cut your freight expense, and minimize risks of potential damage during shipment. These items are usually shipped within 3-4 days of order receipt. Cost of shipping is based on the size and weight of the products in your order, and the distance they need to travel to reach you. Orders made up of smaller, lighter items are usually shipped via Fed-Ex or United Parcel Service Ground service to minimize cost. At your request (and additional cost), we can expedite delivery of your order via Next Day or 2nd Day Air. Shipping large, heavy items (furniture, printers, etc.) by truck is usually most economical. Whatever the shipment means, shipping costs are added to your invoice or credit card billing. Because of our extensive inventory, most orders are shipped complete from our Minnesota warehouse. Exceptions include larger items shipped to you directly from the manufacturer…or products temporarily out of stock. In the latter case, we usually ship in-stock items at the time of order, and ship any out-of-stock items immediately upon inventory replenishment. Please let us know when you place your order if you don't wish to receive back-ordered product shipments. Yes. If any product you purchase from us doesn't meet your expectations, is defective or fails to perform as it should, just return it in original packaging within 30 days of receipt. We'll exchange it, or issue a credit/refund for the merchandise purchase price, whichever you prefer. Returns on items such as furniture, files, printers, scanners and special order products may be subject to a restocking fee. Before returning merchandise, please call our Customer Service department (1-800-234-3729) to receive a Return Authorization Number. If one or more of your items are damaged in transit, please do not refuse to accept the shipment. Instead, point out damage to delivery driver, and carefully note (in writing) visible damage to the shipped item and container. Then, call our Customer Service staff at 1-800-234-3729. Yes. Unlike many competitors, we already provide price breaks to customers who see the economic wisdom of stocking up on graphics supplies. Where available, our product price boxes reflect these lower prices. For example, Rayven Type 300 Film is priced at $69.65 per box if you order 1-4 boxes. If you order 5-9 boxes, price per box is reduced to $62.70. If you wish to purchase many more units than listed in the product price box, call Toll-Free 1-800-234-3729 for special quantity pricing. We usually can. If you need an item from one of the manufacturer's we represent, but can't find it in our online catalog, call our Toll-Free help line at 1-800-234-3729. 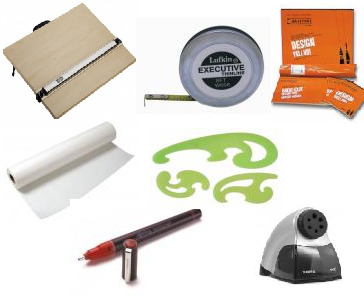 One of our trained product specialists will make every effort to acquire the item for you at the best possible price. Yes, we invite you to do so. For maximum account security, however, a personal password must be assigned to your credit account. Please phone us toll-free (1-800-234-3729) or email us (via Contact Us), providing your full name, daytime phone number & email address. Tell us you'd like to extend your open account privileges to website purchases. Then, you can enjoy the convenience of billing future orders directly to your GS Direct open credit account.